In Okinawan mythology, Nirai Kanai can be best described as a mystical world, a paradise if you will, separated by the ocean. This is what Okinawans tell me. 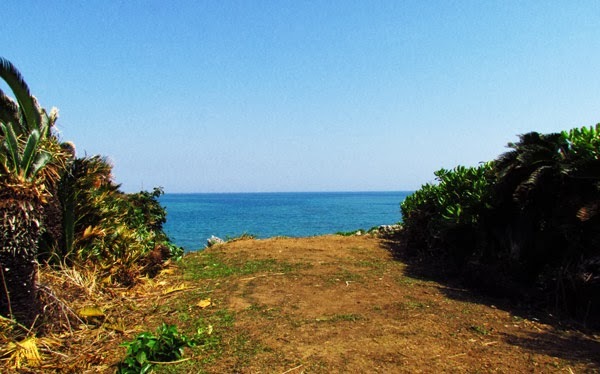 Some, even go a little further by saying Nirai Kanai lies to the east (not surprising, since the sun also rises in the east, and you may find that praying to the east is a common practice among some Okinawans). Where and what direction Nirai Kanai lies really depends on the person, or the belief of that particular village...or perhaps what island you are on. Oddly enough, Nirai Kanai may not even be thought of as a heaven either...just another world. The concept of Nirai Kanai when put together is easy to understand, but the actual meaning of the two words is a little harder to figure out. An Okinawan fella helped me do some research. He went straight to the internet, and to my chagrin, yes he found it on Wikipedia (Japanese edition). However, he did acknowledge that there may be some truth to the explanation. He did say that the word 'Ni' in Nirai...does mean 'root' in Hogen, the Okinawan language. I had asked him, “like a plant root?”. He said "yes"...but it also could mean "origin" as well. This seems to make sense – a place where you originally came from, or could simply mean, where the source of life comes from i.e. the ground, plants, food etc. Kanai was a little harder to dissect and still not clear to me what it may possibly mean (and I may have to accept we may never know). He did say that 'Ka', in the Okinawan language, does refer to something that is metallic in nature such as money. Metaphorically this could mean something that is strong or not easily perishable. It could also be viewed as something that is long lasting or eternal, depending on your point of view. But I think there is one word to describe Nirai Kanai at best. It is hope. An Okinawan told me that when there is suffering in this world, they look to the ocean. It gives them hope. This is the feeling of Nirai Kanai. This is easy to understand as we sometimes look to the ocean as an escape from the day to day troubles. It gives us hope that there is another tomorrow and tomorrow will be a better day. The picture above was taken on top of Nanza Iwa, a large coral rock cropping near the coast of Henza Island. This is a very special place to the villagers of Henza. Once a year they climb up this rock and pray to the east (which is the view you see above). "Is it Nirai Kanai? ", I asked one Okinawan man. He got kind of excited, and in a typical, polite Okinawan fashion blurted out, "Soo! soo! soo! soo! soo!....". That answer was good enough for me. Related Articles. Map It! Okinawa; Hamahiga, Gateway to the Otherside?. If you have ever been to an Orion Beer Festival on Okinawa, chances are you saw a few young girls in their mid-twenties, donned in mostly white, neatly cut uniforms. They have all the endearing personalities of the girl next door, with bright smiles that could easily light up an entire room. They are none other than the Orion Campaign Girls; Orion Breweries' most prized, coveted company icons. Meet Aimi-san. 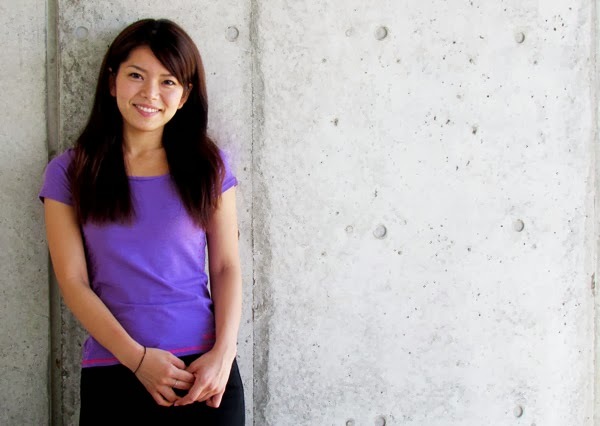 She was one of three girls selected to represent the Okinawan beer company throughout 2011. Back then, her official title...The Orion Campaign Girl, but to many of us, she is simply Miss Orion. I had the great fortune of meeting Ms. Aimi in 2011 while she was working at her second job at a local cafe. Her adept English skills was what started the whole conversation. The more I got to know her, the more impressed I was with her energetic, friendly and outgoing personality. Aside from being a full time ambassador for Orion Breweries and holding a second job, she was also attending college majoring in English. Curious to know, I asked her, what was it like being an Orion Campaign Girl and how did it all happen? Aimi, who was born and raised in Ginoza Village, explained that the whole idea actually came from her father. Aimi recalls being quite surprised when he first mentioned it to her. Wasn't long after, she found herself being escorted by her dad to a photography studio for audition photos. Aimi was thrilled. She had been searching for something new and exciting to do in her life. Maybe this was it? The application was sent off and several months later, she got the anxious phone call. Her and 59 other girls were chosen during the first round of the selection process. That was only the beginning. Aimi would have to attend 5 other interviews in front of a panel of judges which included a model performance and a photography session. By the end of the whole process, the selection committee had narrowed it down to six girls. Three would walk away and be inscribed in the annals of Orion Beer history forever. Now, it was just a matter of waiting for the results. Aimi, vividly remembers that day in September of 2010. It was during a basketball game with her friends when she got the call. She and two other girls were going to be Orion Campaign Girls! But being a representative of a major beer company is no walk in the park. She had to be properly trained in the Art of Campaigning,...Orion style; everything from knowing the company's history, to learning how to walk and bow with grace, to even learning how to properly drink beer from a cup. For an entire year, thousands and thousands of would-be fans and audience members would be watching Aimi. She had to be ready. After about a month of hard training, she and the rest of the Campaign Girls were sent off for duty hitting major events across the Okinawa islands, to include Ishigaki and Miyako. 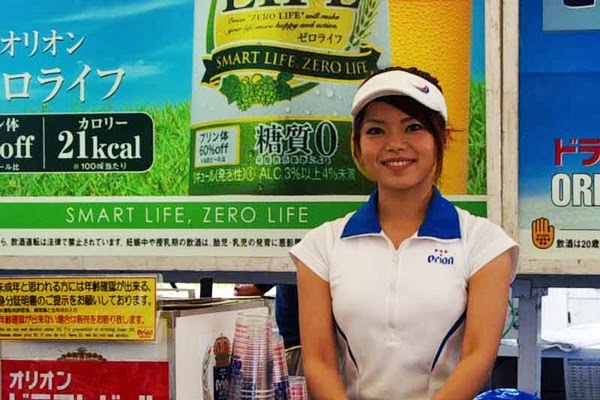 Everything from attending beer festivals to greeting fans to reading game rules to contestants, Aimi and her team would be on the road with bright smiles in their pearly white uniforms. Aimi recalls one of her fondest moments was when all three girls got to perform on an Okinawan television program called Okinawa Bon, where they won first prize in the show's talent contest. When asked, what was the most difficult part of her tenure as Miss Orion, it was the pressure she laughs. Sometimes she was expected to make speeches or announcements from memory. Often, however, she wasn't given the material to memorize until an hour before showtime. There was that and the constant pressure of always putting on a happy face. Once you put on that uniform in public you are only in one mode; happy mode. You can never show disappointment, never frown, never be seen tired. You can only smile; which can be a very daunting task when you have to stand long hours, serving beer and greeting hundreds of fans – some not all that sober either. And then...there was the occasional overzealous fan. That was one of Aimi's nerve-wracking moments. Luckily for her, authorities detained him and wasn't seen since. Overall though, Aimi enjoyed her experience. She got to meet a lot of people. That is what she enjoyed the most. In her free time, like any girl, she loves to go shopping with her friends and occasionally likes to view the sunset from her favorite spot. When asked about her dreams, she says she just wants to enjoy life now as much as she can while she's still young. Aimi is currently studying to be a tour guide, but one day would like to have her own cafe. This is Aimi-san, the girl next door, Campaign Girl, and Miss Orion 2011. About a year and half ago, I had this conversation with an Okinawan woman about the Deigo Tree. She had said something that had stuck in the back of my mind for quite some time now and with recent events, got me thinking more and more about it. After she had told me, I heard it again and again from other Okinawans. Was there something to what she had said? 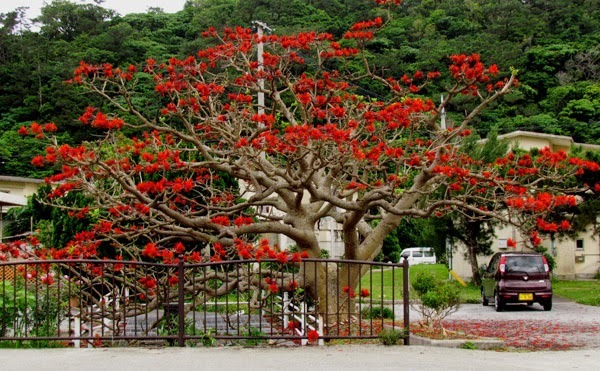 What the woman had told me was that when the Deigo Trees have a strong flower blooming season it means that Okinawa is going to have a very strong typhoon season that same year. Keep in mind I was told about this before the 2012 Typhoon season had even kicked off. I just made a mental note of what she said and went on my way. I spotted my first Deigo Tree in bloom in April of 2012. It wasn't just in bloom, it was in BLOOM. I have never seen anything like it before. The whole tree looked like it was on fire with beautiful dark, red flowers. Not a single green leaf I could recall. The entire tree was dressed in red. This was the same tree that had documented on Map It! Okinawa in Ogimi Village. The photo above was taken about a month before the start of Typhoon Season (typically declared as June 1st). Now typhoons are not uncommon in Okinawa. In fact, it's expected during the season. And for those who can recall, 2012 brought us some very, very strong typhoons particularly Typhoons Bolavan, Sanba, and Jelawat. Jelwat perhaps had the most bragging rights. See a glimpse of Jelawat's destructive power on this amateur video footage on YouTube linked by the BBC (http://www.bbc.co.uk/news/world-asia-19776925) . Was this coincidence? Or was there a connection – strong Deigo season in 2012 and now a strong typhoon season that same year? It made me kind of wonder at the time. I just made another mental note of it. From March to May I hoped to get another picture of that beautiful Deigo Tree in Ogimi. Several times I passed by there...but nothing. No flowers that I could recall. Just green leaves. Hmmm...that was strange. In fact, I didn't see any Deigo's in bloom anywhere (maybe there were some, but none that I could find). It is now September 1st here in Okinawa. Typhoon season is not over....far from it. 30 November is supposedly the end of typhoon season here on Okinawa. But where have the typhoons been? As far as the main island of Okinawa, we have not had one to raise an eyebrow at. Just tropical depressions. Other areas in the Pacific may have had some, but zilch here on Okinawa. So here we had no Deigo's in bloom and as of yet a very, very dismal typhoon season. Jelawat, last year, made landfall in late September, so time will tell, and we still have a few months before typhoon season is over. But just what if there is a connection? More than a handful of Okinawans have told me this same story, which meant that story had to have been around for awhile, which also means that for many years this trend had to have been observed for this story to take root. Now, I don't think they believe that no Deigo flowers mean no typhoons or vice versa, it was just that a strong blooming season was indicative of a strong typhoon season (and of course that would mean that a very poor blooming season, meant a very poor or mild typhoon season as well). I'm no scientist, but if there is a connection then it may say something of earth's cycle that coincides with both the blooming Deigo and typhoon season – a certain heighten activity that happens during that period that makes the Deigo tree bloom more and one that increases the frequency of typhoons. And if indeed there is a connection it would suggest that the Deigo tree is sensitive enough to feel whatever this heighten activity is. I don't know. It's just interesting. Maybe there is no connection. But when you hear the story enough times, it does make you wonder...."what if?" We still still have 3 months before typhoon season ends. Knock-on-Wood. This is O-File Mystery #001. Related Articles. Map It! Okinawa, Beautiful Deigo Tree in Ogimi.